If you had asked me a few years ago to point out Topton on map, I don’t think I could have done it. All I knew about it was that it was somewhere in the general vicinity of Kutztown and that I had played a Junior Legion baseball game there 15 years ago. But as I continue eating my way across Berks, I continue to become more familiar with the place I call home, finding the best restaurants in every corner of the county. Topton was a town that was still missing from my map 16 months after I began my weekly blog posts, but what better way to check it off my list than with a stop at one of the highest rated restaurants, not only in Topton, but in all of Berks County. With no less than 4 1/2 stars across every review site, I had to try White Palm Tavern on my first trip to Topton. White Palm Tavern is filled with subtle nods to the Caribbean. A copy of Islands magazine sat on the hostess stand atop the latest Berks County Living. Island-themed artwork hung from the light green walls in the dining room. 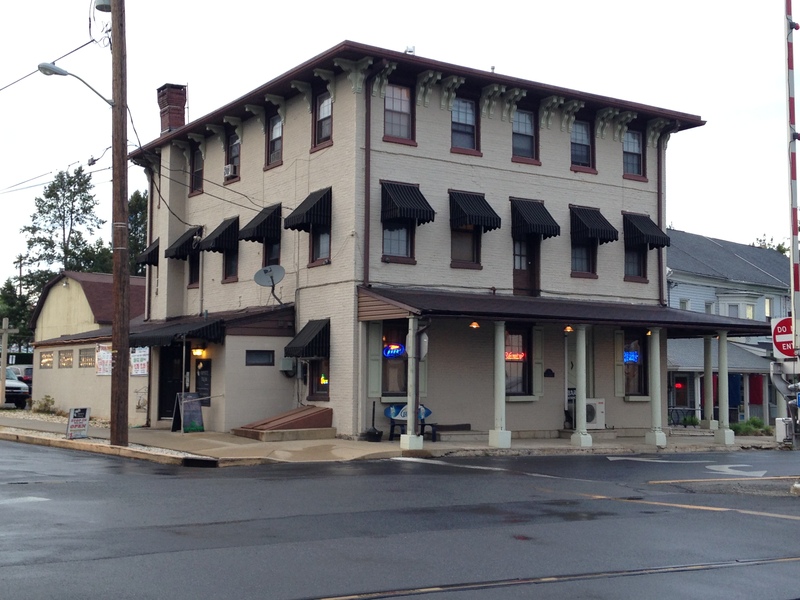 Much like Island Pizza in Birdsboro, White Palm Tavern has an island-themed menu: a hot roast beef sandwich becomes the Fiji; the Bora-Bora is actually a French dip. White Palm Tavern promises patrons will “escape the ordinary,” and there are several menu items that enable you to do just that. We decided to start our meal with one of those one-of-a-kind appetizers: pretzellas. 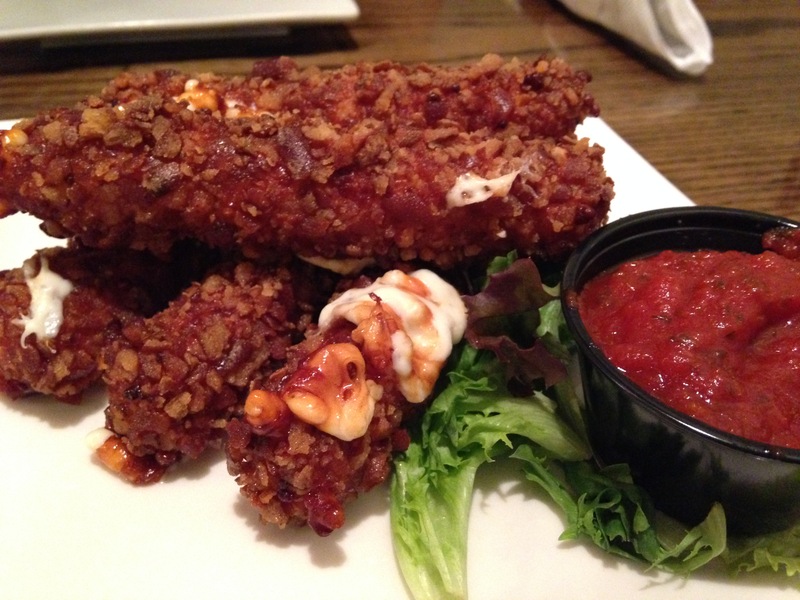 Pretzellas are mozzarella sticks that are battered in crushed pretzels—a delicious mashup of two bar food favorites. The pretzel flavor was subtle, but it made for a crunchier, slightly saltier version of mozzarella sticks. With the marinara dipping sauce, it made for an excellent start to the meal. The Tavern’s menu is dominated by sandwiches and burgers, but there are a select number of entrees that allow you to “escape the sandwich.” At the top of that list is a dish inspired, not by Latin America, but southeast Asia: Thai riblets. 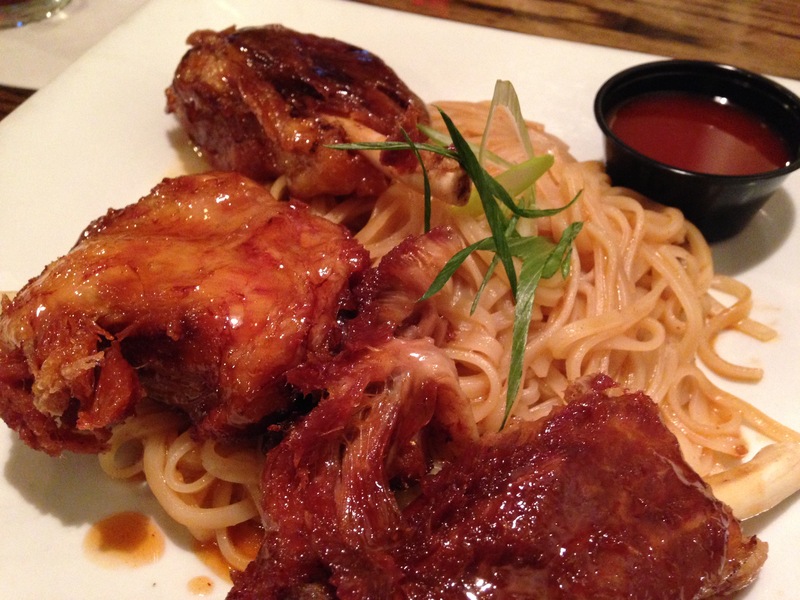 Don’t confuse these riblets with those at Applebee’s (which are actually button ribs); these are meaty, individual pork ribs that White Palm Tavern serves over rice noodles with a cup of sweet ginger sesame sauce on the side. Without the sauce, the riblets reminded me of barbecue chicken (actually surprisingly close to Kauffman’s). Adding the sauce gave it a whole new flavor, sweet and spicy with a little saltiness thrown in. Ginger is one of my favorite spices, and I loved it with this dish. Rice noodles absorb flavors very well so they already had the strong ginger flavor from the start. They were an excellent accompaniment, one that very much stood on its own. While Julie didn’t escape the sandwich, her dinner was anything but ordinary as her eyes were set on the fruit wrap. 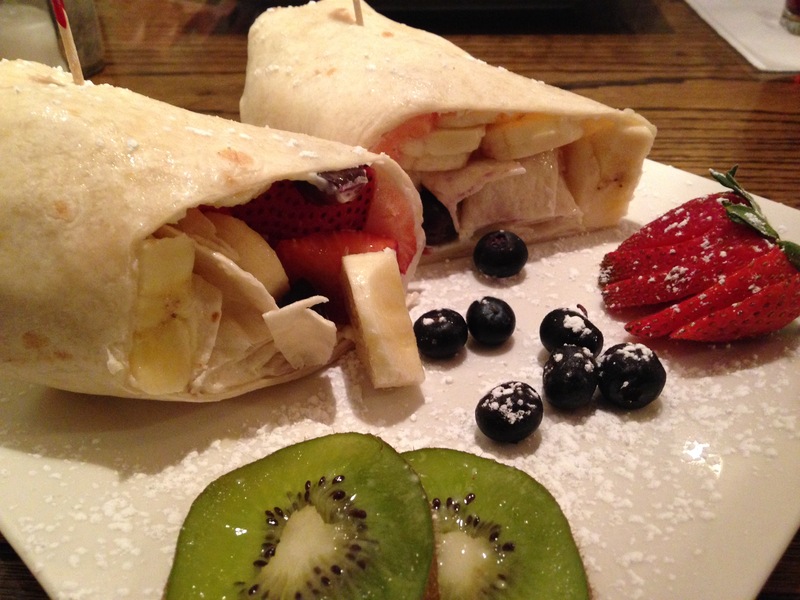 A fruit wrap is exactly what it sounds like: a tortilla shell filled with fruit—grapes, strawberries and bananas with cream cheese spread. As an added bonus, kiwi slices were served on the side. The dish was sweet and delicious, one that could work well as breakfast or dessert. Somehow it even worked as a dinner entree. Served without a side, it was filling enough that you didn’t miss one. We both left full, and my wallet left only a little lighter than when we arrived. Our dinner came in under $30, a little price for a lot of food. It may not have been the Caribbean, but White Palm Tavern deserves its place as one of the hottest restaurants in the county. I don’t know how the rest of Topton can top it, but with all the restaurants we passed on our way, the town has plenty of opportunities to try.